The ribbon blender has a stationary shell with a rotating horizontal impeller. Possibly the most versatile and widely used blender and can be used for an extensive range of products from dry to paste. Inner and outer ribbons are often attached to the same shaft. 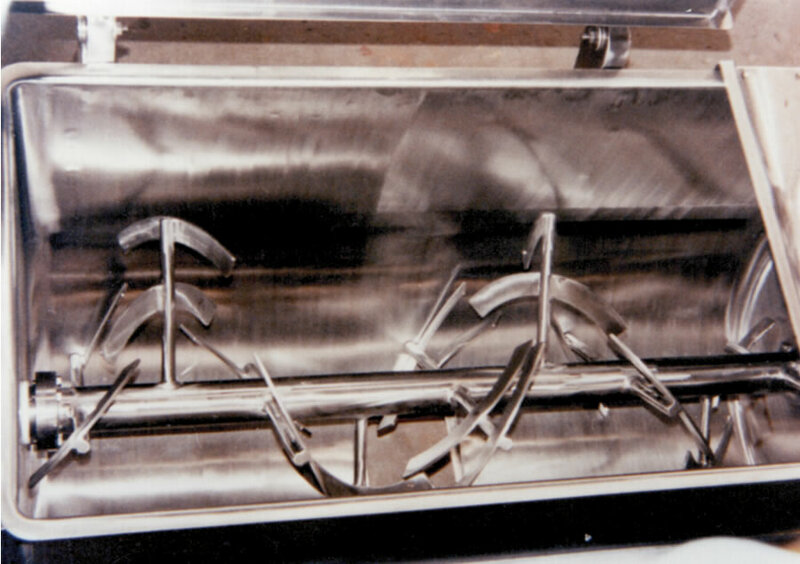 Because these ribbons are wound in opposite directions, the product moves around enabling a thorough mixing action.